All six of my recommended picks made the cut but all failed to notch a Top 10. 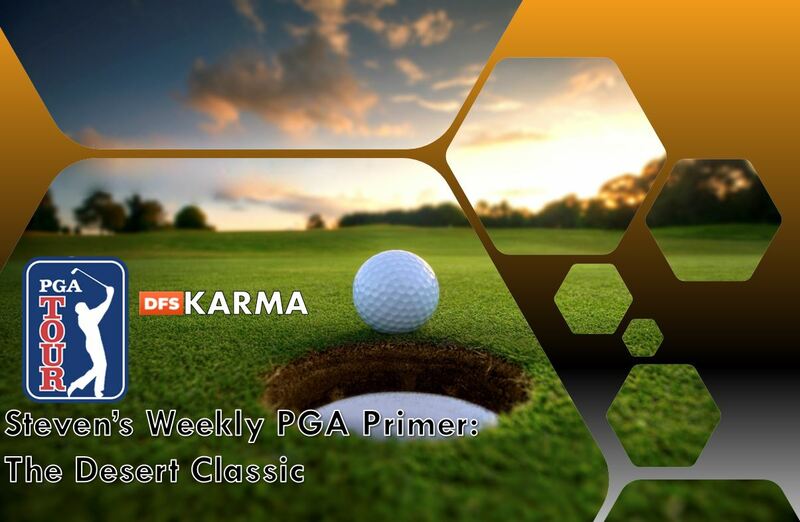 I did have Kuchar in a few of my lineups and should have highlighted him more in last week’s primer considering his recent form and course correlation to Mayakoba where he won just a few weeks ago. Justin Thomas couldn’t avoid bogeys that negated some of his birdies and eagles. Keith Mitchell was setup for a potential Top 5 or Top 10 finished but shot a 72 on Sunday finishing T-16. Formerly known as the CareerBuilder Challenge or Bob Hope Classic, this tournament has a new name for the 2019 season—The Desert Classic. Not to be confused with the Dubai Desert Classic taking place next week in the United Arab Emirates, the Tour makes its way back from Hawaii to the continental United States. Last year, Jon Rahm jumped out to a quick first round lead as he shot an opening round of 62. Austin Cook shot a 64 in his third round that saw him as the 54-hole leader over Andrew Landry and Martin Pillar. Rahm and Landry wound up in a playoff that saw Jon Rahm secure a win after the fourth playoff hole as darkness engulfed the course. Piller, Hadwin, and Huh finished at -20 tied for third with Kevin Chappell and Scott Piercy tied for sixth. Rahm opens as the betting favorite closely followed by world-number-one Justin Rose and Patrick Cantlay. To defend his title, Rahm will also have to fend off other familiar names like Charles Howell III, Adam Hadwin, Phil Mickelson, Aaron Wise, Brian Harman, CT Pan, Luke List, and Daniel Berger. 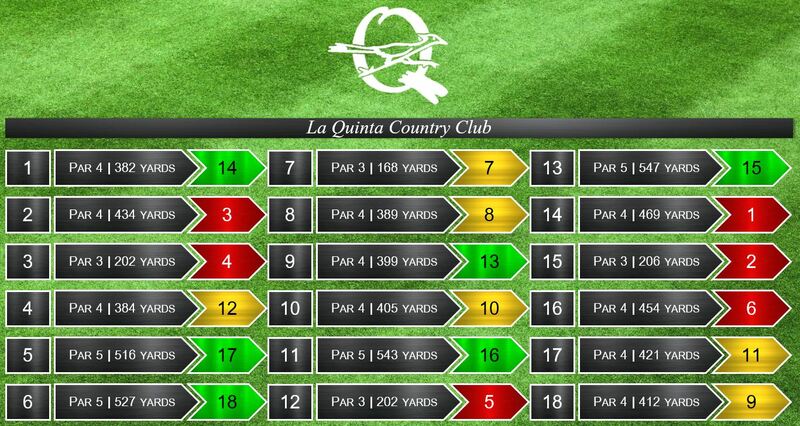 Located in La Quinta, California, this tournament is very unique as it plays on three different courses the first three days. 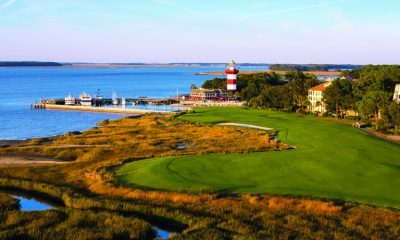 Each golfer will have an opportunity to play each of the three courses. The cut will take place after 54 holes rather than the normal 36-hole cut. After the cut, the remaining golfers will play the Stadium Course a second time for the final round on Sunday. 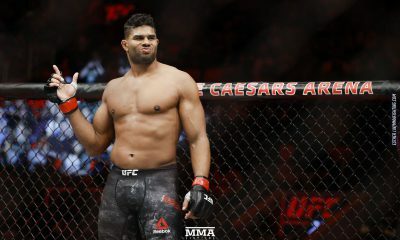 If you are looking for an angle to this tournament, it is interesting to note that 19 of the 24 podium finishes have played at least once in January coming into this tournament. Also 9 of the last 10 winners have also played in either or both of the Hawaii tournaments leading up to this tournament. There also appears to be an advantage to not playing the Stadium Course the first day as only two out of the Top 20 golfers last year played the Stadium Course the first day. The forecast only calls for rain on Thursday. 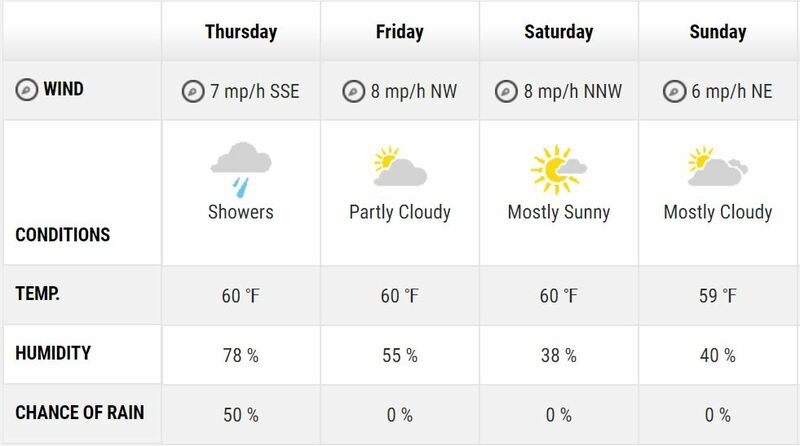 Based on this forecast, I may focus on golfers not playing the Stadium Course the first day when paired with the previously-stated fact that only two of the Top 20 golfers last year started the Stadium Course and the Stadium Course being the most difficult of the three courses. 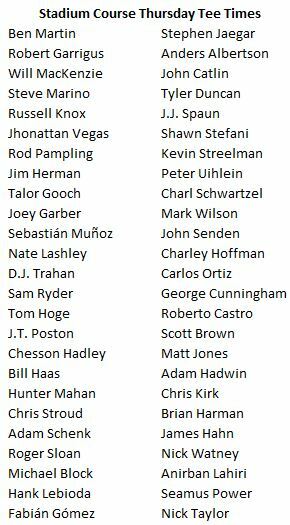 As a bonus, here are the golfers that will be teeing off at the Stadium Course on Thursday. It is the most difficult of the three courses and these guys could have to play it in rain making it even more difficult. This is a significantly weaker field than last week. 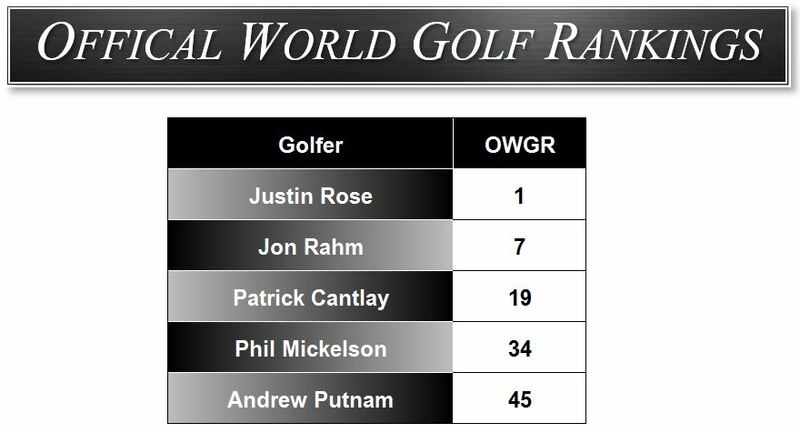 Although we are getting the world number 1 in the field this week, Justin Rose is only accompanied with four other of the Top 50 golfers in the world. A few other important stats that I may factor in are also Opportunities Gained, Birdies Gained, SG: Ball Striking, and Greens-in-Regulation. 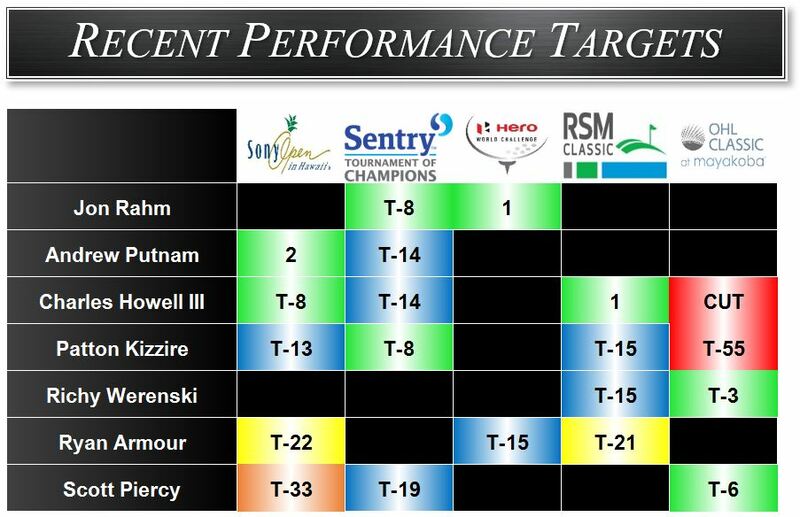 The field basically has three favorites with Rahm, Rose, and Cantlay. They are by far the class of the field so out of these three I am going with Rahm. 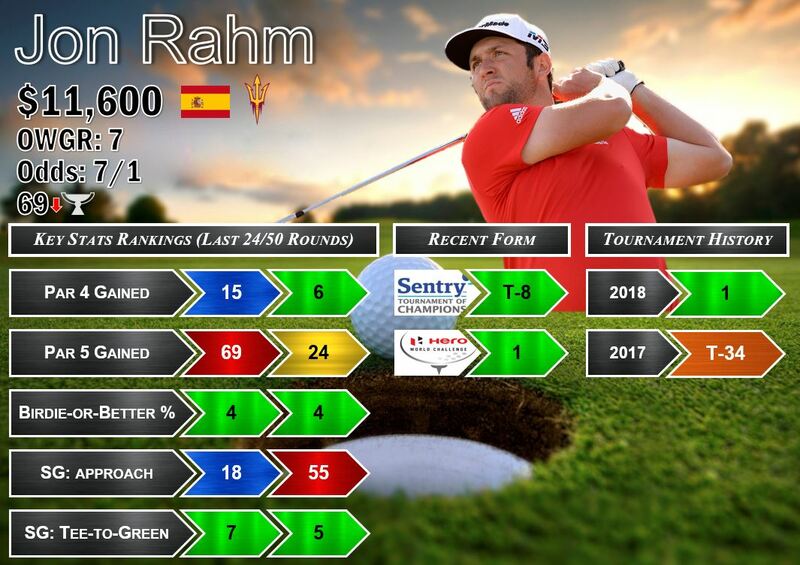 Rahm has back-to-back Top 10s and has played much more recently than Rose or Cantlay. 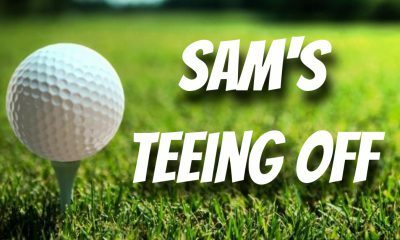 One of the narratives that I am giving weight to this week is favoring those golfers that are not teeing off on the Stadium Course on Thursday and have played in one of the two tournaments in Hawaii. This leaves us with the winner of this tournament last year, Jon Rahm. 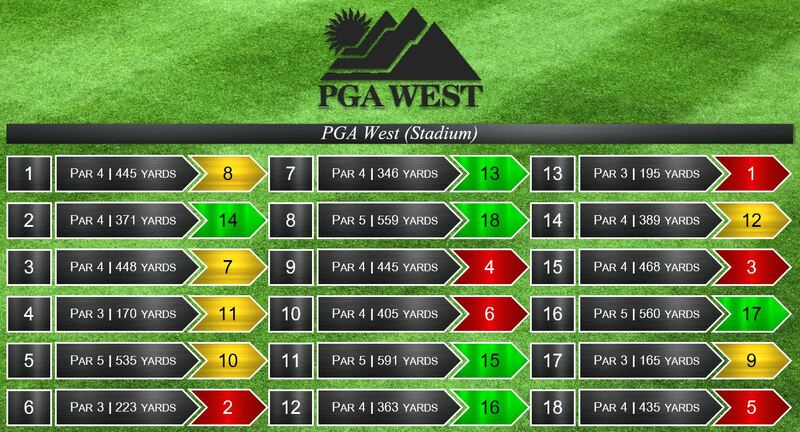 Rahm’s Par 5s Gained stat leaves some to be desired but I am not worried about Rahm being able to score here. 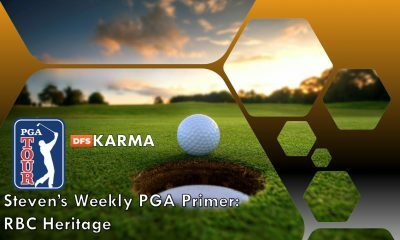 Rahm also ranks 3rd in Birdies Gained, 5th in SG: Ball Striking, and 3rd in DK points. Cantlay will be shaking off the rust after not having played in a few weeks and Rose will be breaking out his new Indonesian clubs and coming off one start since his FedEx Cup victory last year. Also Consider: Charles Howell III—$10,300 (OWGR: 55, 20/1) Howell has played well here with three straight top 20s and is coming in riding three straight Top 15s that includes a T-8 finish last week and a victory at the RSM Classic. Mr. Consistent ranks 5th in SG: Total, 7th in Bogey Avoidance, 12th in Par 4s Gained, and 17th in Par 5s Gained. He has also played in one of the Hawaii events and does not tee off on the Stadium Course on Thursday. 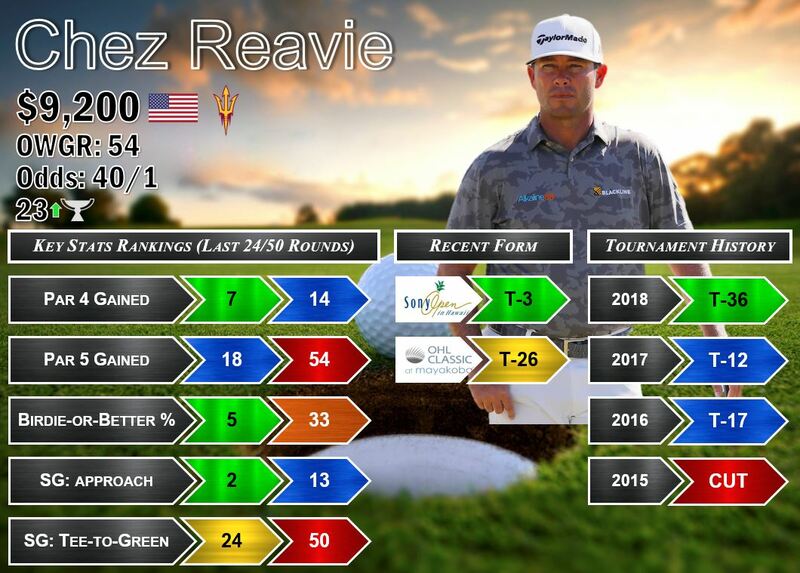 From the $9,000 range, I am looking at Chez Reavie. This one could come back to haunt me but he is coming off of a T-3 finish at the Sony Open and has two Top 20s here in the past. 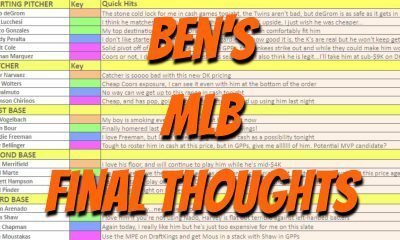 The way he rates on in the key stats also favors him this week. In the last 24 rounds he also ranks 12th in Birdies Gained, 2nd in Proximity, 14th in SG: Ball Striking, and 20th in Opportunities Gained. 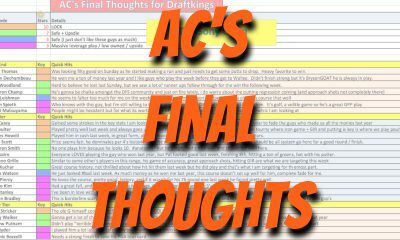 There are several good plays here in the $9k range that I am looking at but out of my favorites being Chez Reavie, Abraham Ancer, and Aaron Wise, I will go with Reavie as we have seen that once he gets rolling he can produce consecutive Top 10 finishes fairly easily. 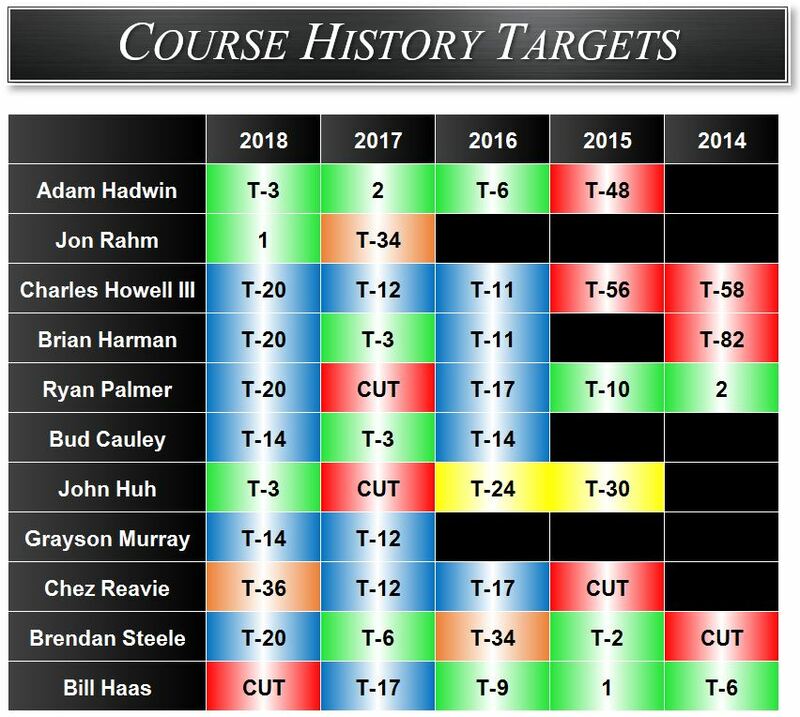 I think you will see Hadwin heavily owned this week since he shot a 59 in this tournament two years ago but sticking to my narrative, he has not played in the month of January and also starts on the Stadium Course. Also Consider: Aaron Wise—$9,400 (OWGR: 52, 35/1) Wise is coming off of a T-27 at the TOC. He also had a T-27 here last year and I expect him to improve on that considering the levels of success he enjoyed last year. Over the last 50 rounds he ranks 15th in Par 4s Gained, 2nd in Birdies Gained, 2nd BoB %, 19th in SG: Ball Striking, and 11th in GIR. To be honest, I am not a huge fan of a lot of the guys in the $8k range this week. I think you can find even better value in the $7k range. There are two guys that I like this week in the $8k range, one is CT Pan and the other is Ryan Palmer. 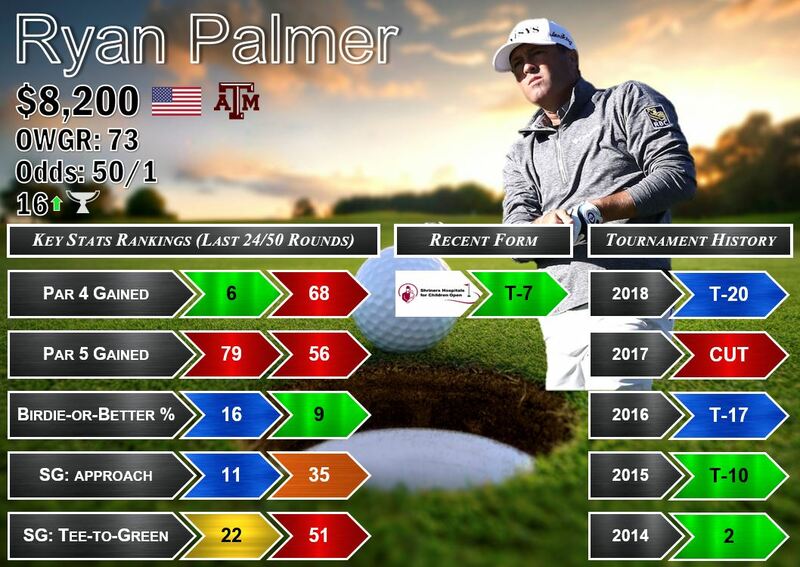 I will take the recent form and tournament history with Ryan Palmer. He hasn’t played yet this year but he is a savvy veteran that has two prior Top 10s here and two Top 20s in his last 5 starts here. His most recent finish was a T-7 at the Shriners Open. I like his overall stats in the last 24 rounds (minus Par 5s) including 12th in Opportunities Gained, 16th in Birdies Gained, 10th in GIR, and 23rd in SG: Ball Striking. At the bottom of the $8k range I will have Palmer in multiple lineups this week. Also Consider: CT Pan—$8,400 (OWGR: 101, 50/1) CT Pan ranks 8th in my model this week. Over the last 50 rounds he ranks 7th in Par 4s Gained, 7th in Birdies Gained, 8th in BoB %, 6th in SG: Approach, 11th in SG: Ball Striking, and 16th in GIR. It really is a toss up this week for who I like better between Pan and Palmer but I will have them both in several lineups. The only hesitation I have with Pan is that he hasn’t made the cut here in his only two starts and hasn’t played since the RSM Classic where he also didn’t make the cut. Another one of my favorite plays this week, is Richy Werenski. 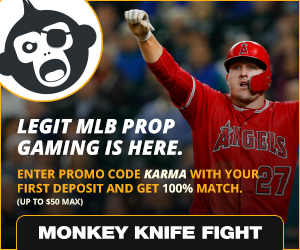 Priced right in the middle of the $7k range near other more popular names like Zach Johnson, Daniel Berger, Charley Hoffman, and Brendan Steele. 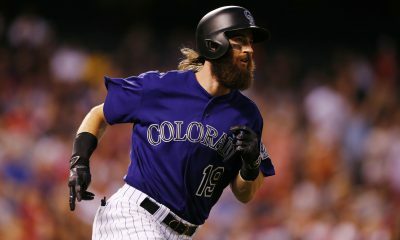 I feel like he may go overlooked but he has played well here with a Top 30 and a Top 10 in his only two starts. He ranks 13th in my model and ranks 23rd in bogeys avoided, 11th in eagles gained, 17th in Proximity, and 13th in GIR over the last 50 rounds. He also hasn’t played since the RSM Classic but hasn’t finished worse than 23rd in his last three starts. He benefits with the tee time draws as well as he starts on the easy Nicklaus Tournament Course on Thursday. As I referenced earlier with Ryan Palmer, I really like this $7k range. Another guy that pops in the statistical models is Corey Conners. Minus the Par 5s Gained stat, I really like his recent form and the way he has played over the last 24 and 50 rounds. 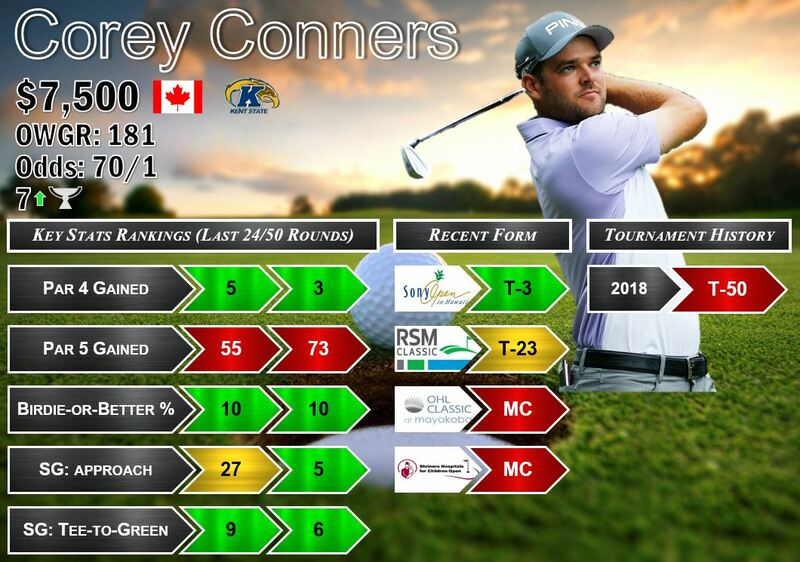 Fitting the narrative, Conners has played the Hawaii leg of the season finishing with a Top 5 last week at the Sony Open and tees off on the La Quinta course on Thursday. He ranks 3rd in GIR, 2nd in Good Drives Gained, 8th in Birdies Gained, and 4th in Proximity over the last 50 rounds. I will have a fair share of Conners this week. 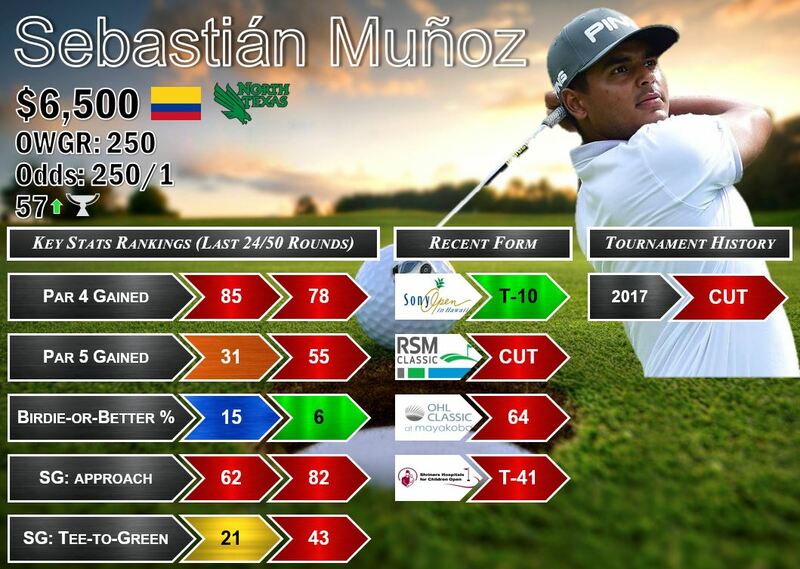 Also Consider: Joaquin Niemann—$7,600 (OWGR: 155, 55/1) This is more of a statistical play than anything. 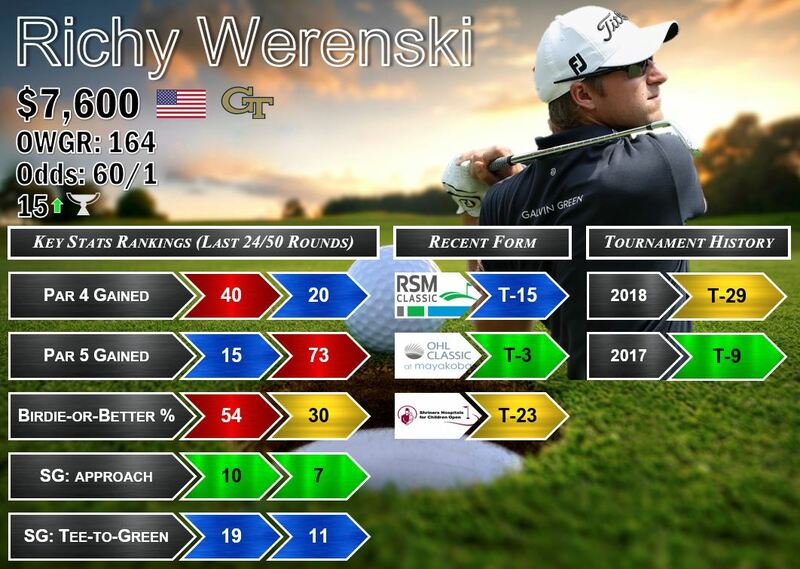 Niemann hasn’t played since the RSM Classic where he finished T-65. Before that he finished T-60 at the OHL and T-10 at the Shriners. We saw Niemann burst onto the scene last year and play well against much more competitive fields than we are going to see this week. 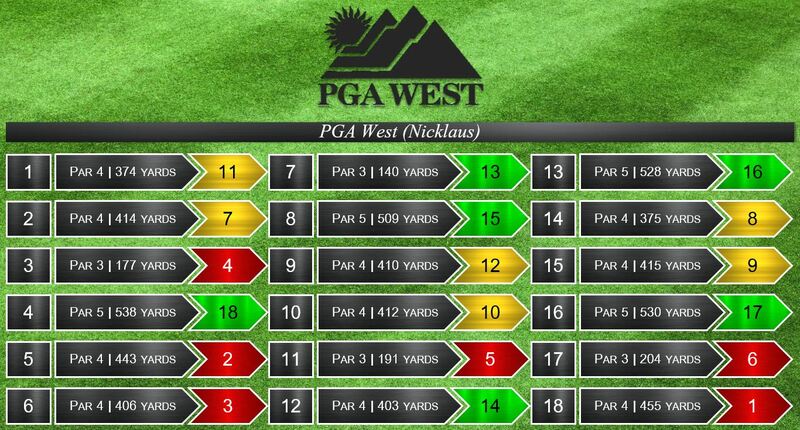 He starts on the Nicklaus Course and ranks second in my model: over the last 50 rounds Niemann is 4th in Par 4s Gained, 9th in Birdies Gained, 1st in Opportunities Gained, 5th in BoB %, 1st in SG: BS and SG: Approach, and 9th in GIR. After listing all of these I actually may have just talked myself into a heftier share of Niemann than I originally anticipated. My final play, is Sebastian Munoz. Admittedly, I am not high on a lot of the scrub values but I want to make sure to provide some picks for those of you going heavy at the top. He is 5th in Birdies Gained over the last 50 rounds and 25th in Opportunities Gained, 15th in Birdies Gained, and ranks inside the Top 20 for all proximity statistical categories from beyond 125 yards. Also Consider: Vaughn Taylor—$6,700 (OWGR: 305) Taylor fits the narrative this week as he played last week at the Sony Open and does not play the Stadium Course on Thursday. He did miss the cut last week but it was a much tougher event with a higher quality field. He missed the cut here last year but finished T-41 the year before so he does have a chance to make the cut but this is the quality you get with these lower salaries. Over the last 50 rounds he is 11th in Birdies Gained, 5th in Opportunities Gained, 26th in BoB %, 31st in SG: Approach, and 30th in GIR. 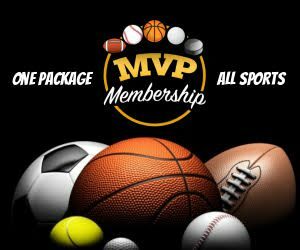 If you are stacking your lineup with several high salaries then you will have to roster sub-$7k golfers this week.